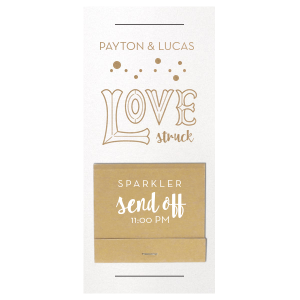 Sparklers for weddings and events are a brilliant addition to wedding and event planning: they give a magical grand finale to remember. 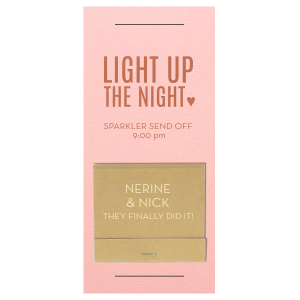 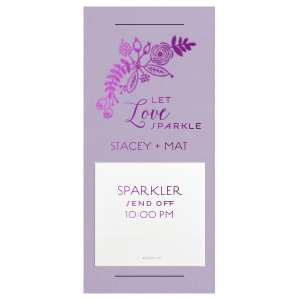 So what better memento than personalized sparkler favors? 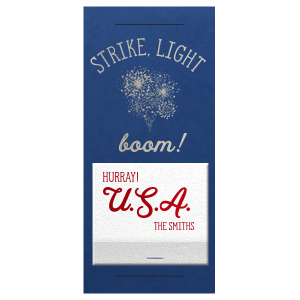 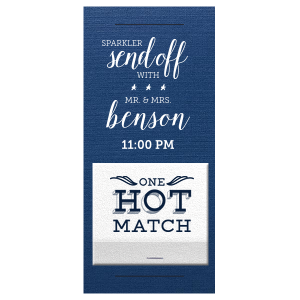 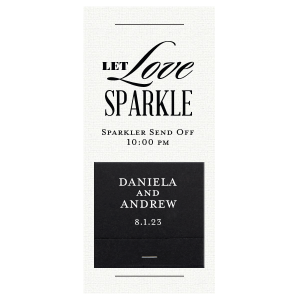 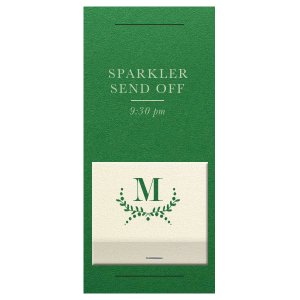 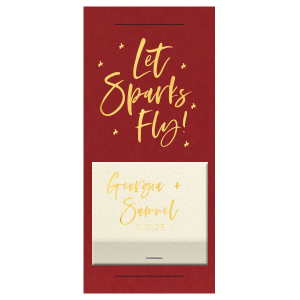 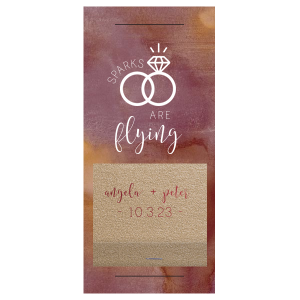 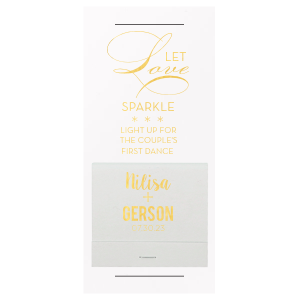 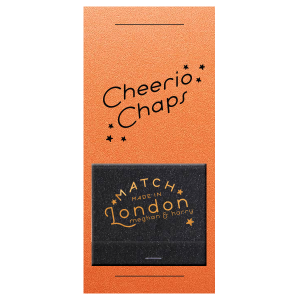 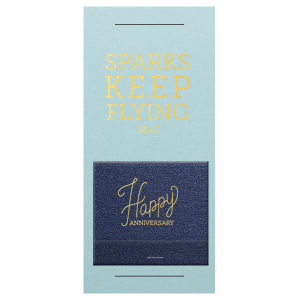 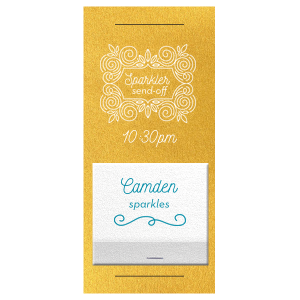 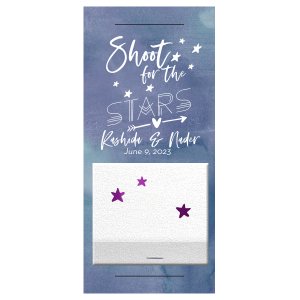 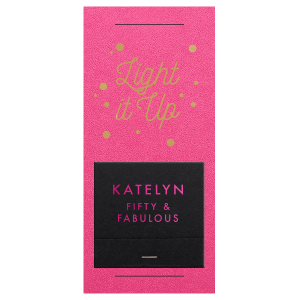 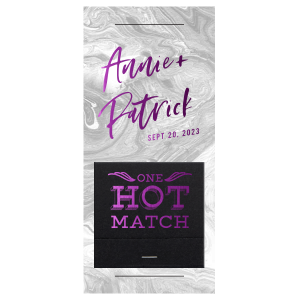 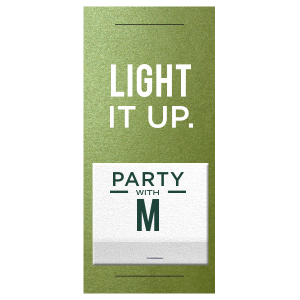 These personalized sparkler sleeves come with a matchbook, assembly required, are destined for your guest’s scrapbooks, and their presence reception tables will build anticipation for the sparkler send-off. 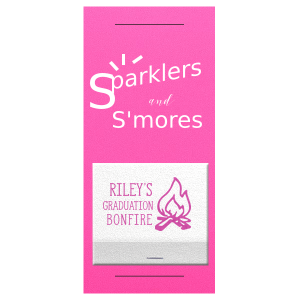 Personalize a design below or create your own today!